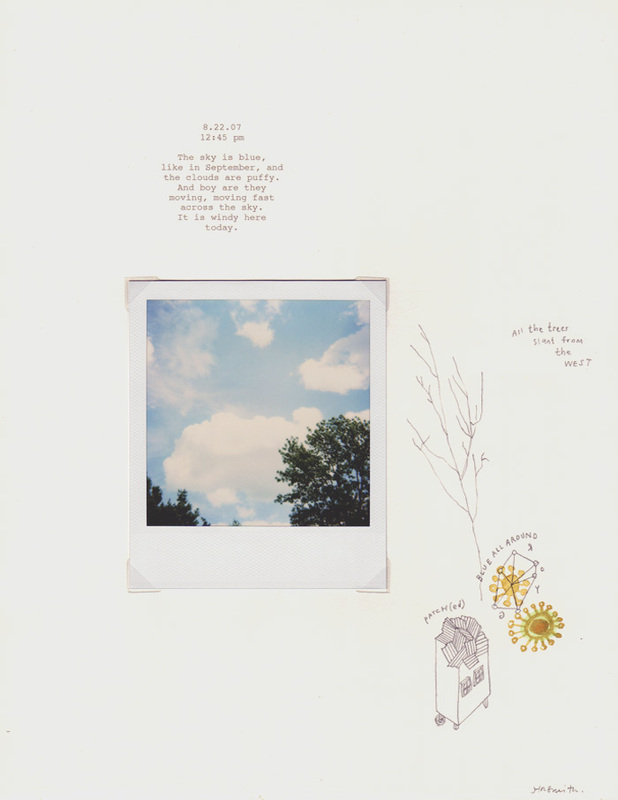 Lately I've been thinking about this project I did last August, in which I took a polaroid every day during that month and wrote down stories and ideas accumulated in that day. It centered around the idea of HOME and then I put them together in a kind of book. This is one of the pages. My Dad recently sent me some old cameras that belong to my grandfather, who took a ton of pictures. I remember when I was a child he always had a camera tucked into his shirt pocket. So I'm thinking or brainstorming ways to use them in a new project. Hmmmmm... any thoughts? Susan's shop is open and I have my eye on this cat bank, it's pretty sweet. Today is the three month-a-versary [I know, that's not a word] of my shop. A small milestone, but I like it. I've been getting some new sunprint paintings together to add next week and I think on Monday I'll add another pinhole piece, No. 5. And lastly I'd like to introduce you to a brand new blog, of a former preschool student I had the pleasure of working with. Meet E and her Art Collection. I've already added her to my bloglines.